So why is Sarlat one of the Dordogne's most popular towns? Quite simply, Sarlat is the quintessential French town. 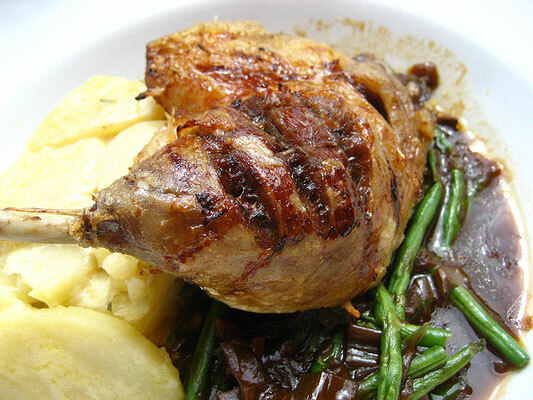 It nestles in a picturesque valley in an area known as Le Périgord Noir. A wonderful mix of medieval and Renaissance architecture, a fabulous market full of local produce, street cafés, restaurants serving the region's gastronomic delights... All this surrounded by the lush Dordogne countryside... What else could you possibly wish for? 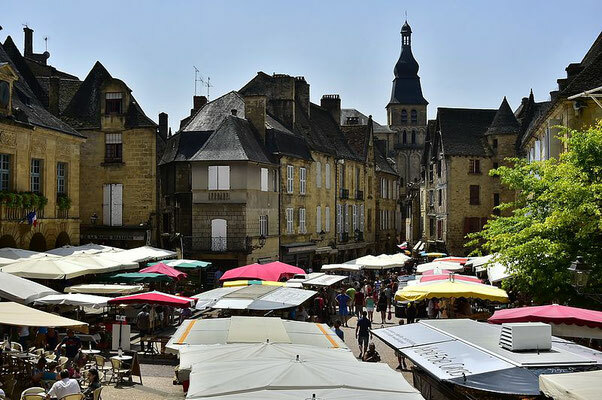 Sarlat's famous Saturday market takes place all year round and fills the streets and squares of the town. Locals and tourists alike flock to fill their baskets with the fantastic local produce, then settle down to enjoy a lengthy lunch! 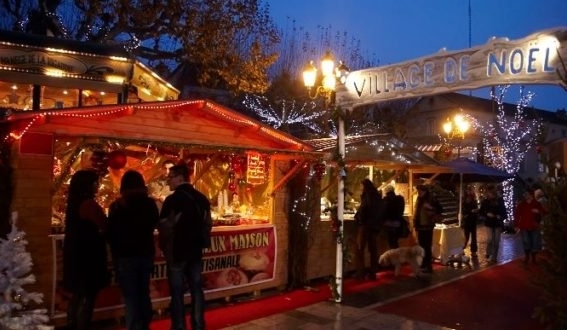 In December each year, Sarlat attracts thousands of visitors from far and wide with its now legendary themed marché de Noël. Visitors can take a break from their Christmas shopping to go ice-skating, before heading back to the many craft stands and food stalls. 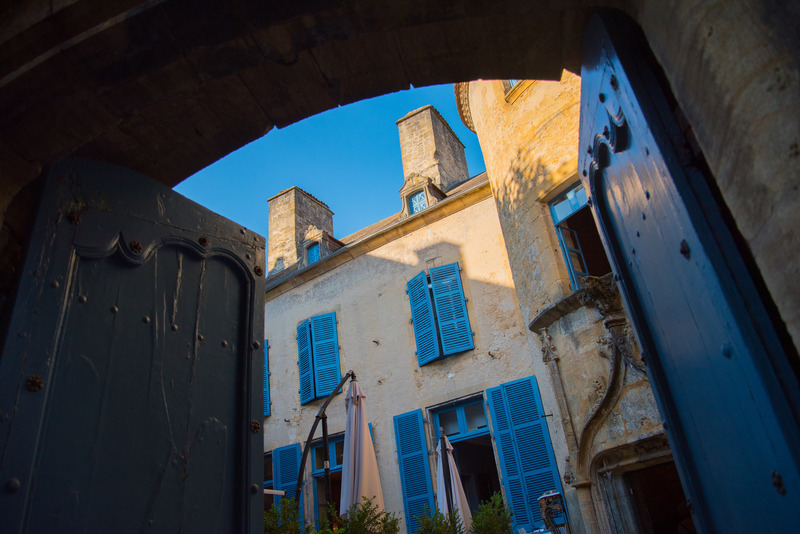 Historically a thriving hub, Sarlat sat dormant for 150 years before benefiting from public funding in the 1960s, to preserve as much of the town's heritage as possible. 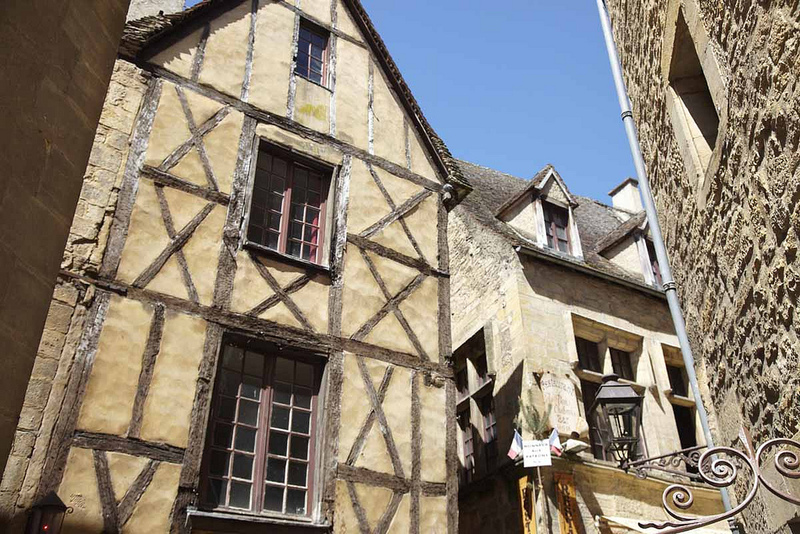 The streets of Sarlat have evolved since Gallo-Romain times, and today we can see 14th and 15th century colombage (half-timber) and arched échoppes (medieval shop fronts) alongside 16th century stone mullioned windows, Renaissance doorways and 18th century bourgeois houses. The warm tones of the Dordogne stone harmonize the styles along the well-preserved streets. 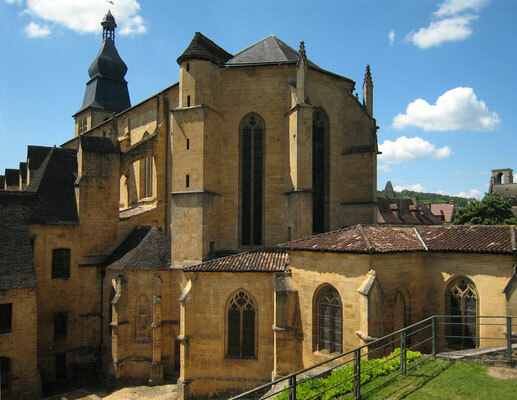 Among the things to visit in Sarlat are the Église Saint-Marie, a delightful 14th century church on the main market square. 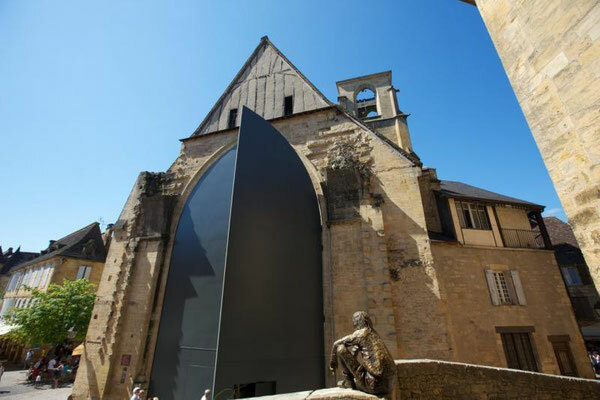 Impressively transformed into an indoor market in 2000 by world-famous French architect Jean Nouvel, the church's vast doorway now features two enormous stainless steel doors in anthracite grey, supposed to recall the colour of the town's stone "lauze" roofs. An equally impressive glass lift in the bell-tower takes you up to see a panoramic view of the town. Also, don't miss the cathedral dedicated to St Sacerdos or the Lanterne aux morts. Let's not forget to mention the gastronomie du Périgord Noir, which can be sampled in Sarlat's many restaurants. 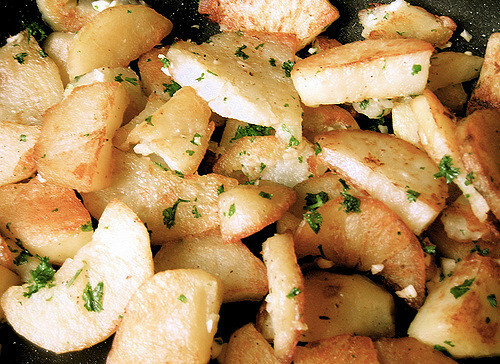 Loosen your belts for the pommes de terre sarladaises and the confit du canard du Périgord or sample the truffles, cèpe mushrooms and walnuts. Of course if you come on one of our Full French courses, one of our possible outings could be to Sarlat. We set you the challenge of following a trail around the town using a set of clues that will lead you to the ultimate goal - a refreshing drink in one of Sarlat's street cafés, an opportunity to watch the world go by and soak up l'ambiance sarladaise! For more inspiration on places to visit in the area around Gourdon, you can also read our article on 10 iconic sites in the Lot and Dordogne.